It’s that time of the year again – ‘Best Of Beauty’ time, where we chat about all the fab products I discovered during 2016! I created a poll on Twitter & Facebook, and asked you what you would like to see this time around i.e. only 1 blog post featuring only my makeup favourites OR a series of blog posts (like previous years), where I cover all beauty categories. I received a resounding “ALL CATEGORIES” on both social media platforms (thank you for taking the time to take part in the poll). 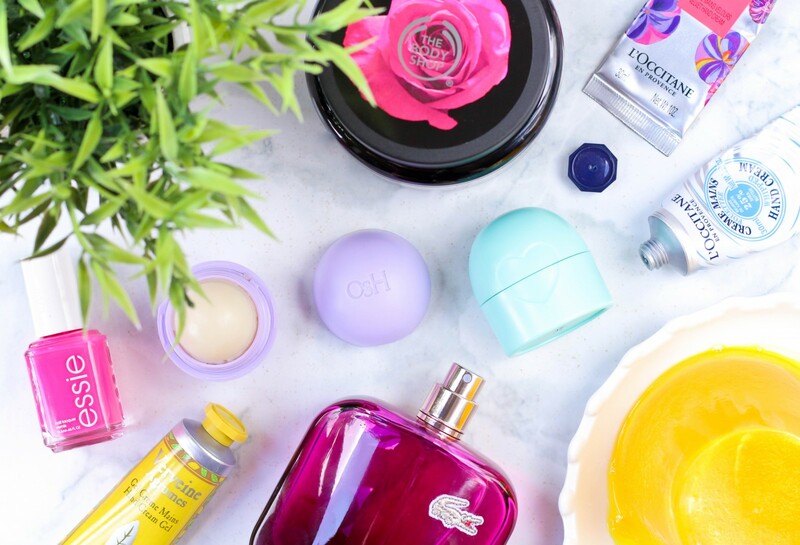 So today we’re starting off with all the bath & body products I loved during 2016. You’ll see I’m going to do things a little bit differently this year – I am going to feature my top of the pops products in the photos (and will tell you why I loved them so much) but I also want to give honourable mentions to a couple of other products too. I won’t be featuring the products in photos, but will try to link to their reviews here on the blog. So, in essence, all the products you SEE in this year’s ‘Best Of Beauty 2016’ blog posts are my ultimate faves, and the other products I mention alongside them are additional products I really think you should check out too! Before we get to my current favourites, I highly recommend you take a squiz at my ‘Best Of Beauty 2015 – Bath & Body’ blog post from last year (the body lotion and fizzy bath bomb featured in the blog post are still must-haves in my opinion). Also, don’t forget to check out the ‘Best Of Beauty 2014 – Bath & Body’ edition (the tropical shower cream, candy-licious lip scrub, zesty bubble bar, and floral body oil are all products that I repurchase time and time again). Let’s take a look at the products that made the cut for my 2016 bath & body favourites, shall we? 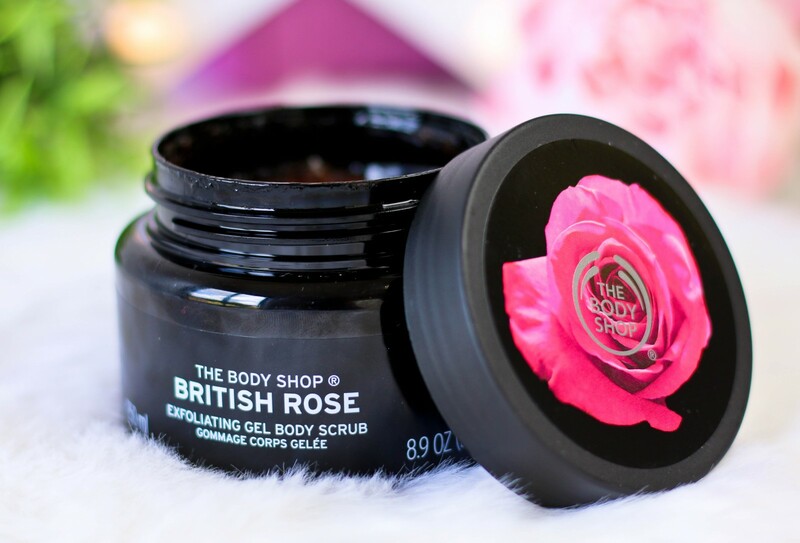 The Body Shop British Rose Exfoliating Gel Body Scrub | R160,00 | To me, there’s nothing more uplifting than a fresh rose fragrance. I’m not talking about the powdery, sweet rose fragrance our grannies used to douse themselves in…nope, I’m talking about a clean, youthful rose scent (almost like fresh rose water). I fell in love with the British Rose collection early on in 2016, and even featured the Instant Glow Body Essence in my ‘February 2016 Favourites’ blog post. The first product I used from the collection was the British Rose Shower Gel – I fell head over heels in love with the range, and returned to my nearest The Body Shop store to pick up the body scrub, another shower gel, a small hand cream, the Eau De Toilette fragrance, and a body butter (yup, I was that obsessed). The product that really stood out to me last year was the exfoliating body scrub, especially since it is textured with real rose petals (and teeny tiny walnut shell particles). The jelly texture of the scrub reminds me of a thick & gooey jam, and the scrubby bits leave my skin feeling smooth and soft. Another thing I like about this scrub is that it’s not too exfoliating or harsh, so it’s suitable for my sensitive skin. Available at The Body Shop stores nationwide, as well as selected Clicks stores. Did you know? The rose blooms are handpicked and air-dried, then used to infuse mountain water to create the fresh rose essence that is the foundation of the entire British Rose collection. 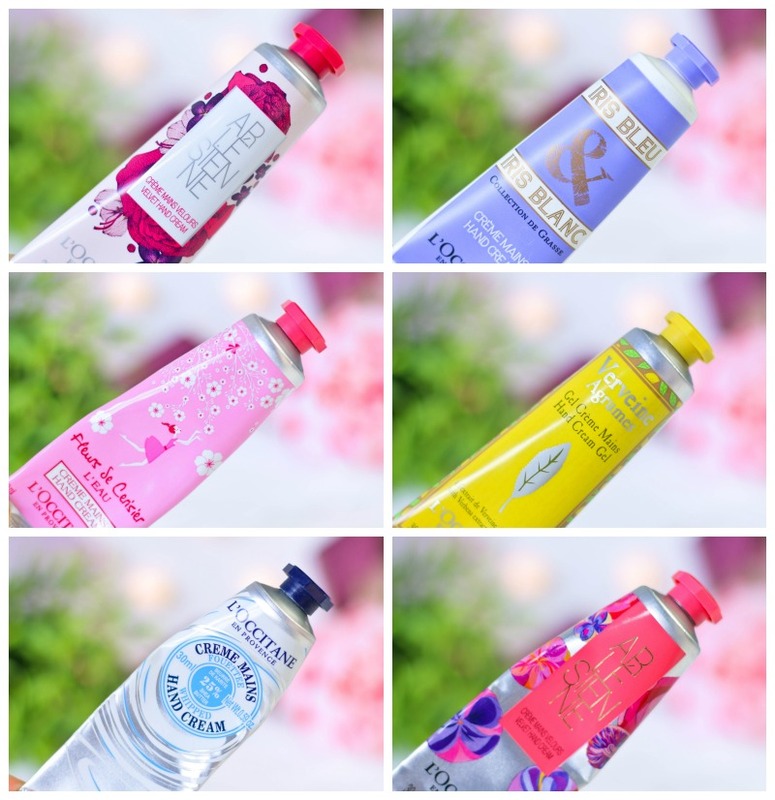 L’Occitane Hand Creams | R145,00 | review | I have a very special place in my heart for L’Occitane hand creams, especially the ‘25% Shea Butter Whipped’ one that I bought a backup for even before I ran out of my first tube. This is another item I own multiples of, so much so that I keep one in each of my handbags. Other favourites are the ‘Arlésienne’ (fresh rose) and the ‘Citrus Verbena’ (zesty lemon) hand creams – all of which I’m happy to repurchase time and time again. If you watched this video, then you’ll know I am very diligent when it comes to keeping my hands moisturised – who likes dry, ashy hands? I certainly don’t! L’Occitane hand lotions contain the best of the best ingredients i.e. shea butter, nut oils, glycerin and essential oils to help heal and protect dehydrated skin. Trust me, you need one of these in your life! Available at L’Occitane Boutiques nationwide, as well as in the L’Occitane SA online store. Honourable Mention: Vaseline Intensive Care Spray Moisturisers | R89,95 | review | So I already featured these in my ‘Best Of Beauty 2014 – Bath & Body Care’ blog post a couple of years ago but they definitely deserve to be mentioned again. I first fell in love with the ‘Cocoa Radiant’ body moisturising spray, but these days I’m more into fresh scents, so the ‘Aloe Soothe’ is right up my alley! What I love most about these is that they are quick & easy to use, they do a brilliant job of moisturising my skin but still feel extremely lightweight (no greasy residue). Available at major retailers (Clicks, Dis-Chem, PnP etc.) nationwide. 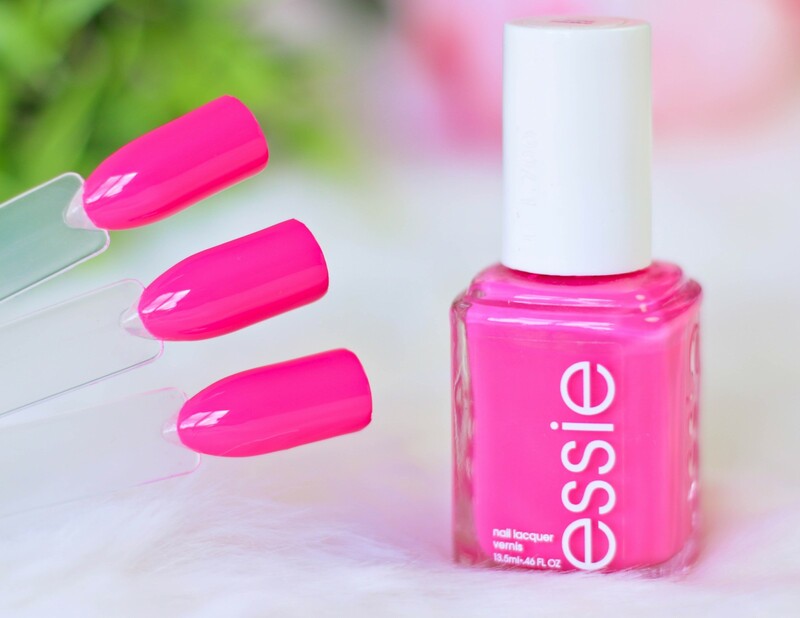 essie Nail Polish | R135,00 | review | If you’re a regular around these parts, then you probably already know essie is one of my favourite nail polish brands. I honestly don’t mind spending a couple extra Rand on one of their nail polishes because on my little chubby fingers, they last for at least 5 to 6 days (a week if I’m lucky). Obviously the wear-time varies from shade to shade, but I’ve always been happy with how long they’ve lasted on my nails. This specific shade is called ‘Mod Square’ and it’s just perfection – a bright & cheerful pink shade with an easy-to-apply jelly formula. Two coats and you’re good to go! Another essie favourite is ‘Virgin Snow, reviewed here. Available at selected Clicks, Dis-Chem, and Foschini stores. 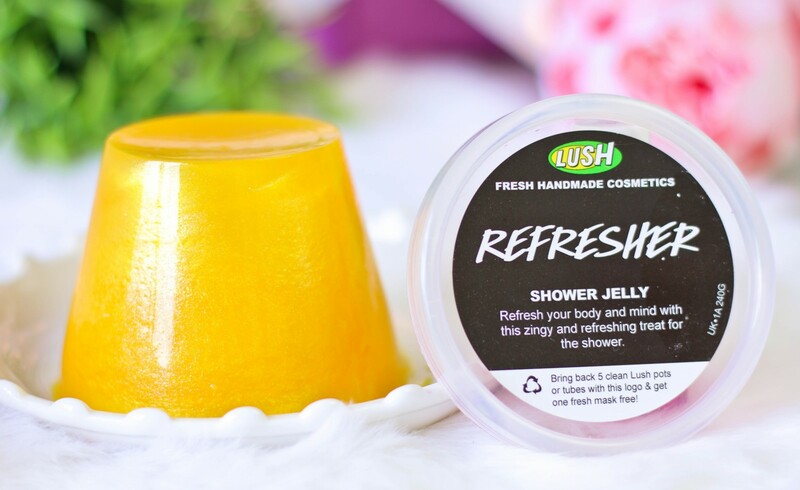 LUSH Refresher Shower Jelly | R89,00 | review | Another scent that I just can’t get enough of is a fresh & invigorating citrus fragrance (nothing compares to a good ol’ zesty bath / shower scent). I bought Refresher towards the end of 2015 when LUSH added a couple of Oxford Street goodies to their range – and this is my THIRD tub (which, by the way, is saying a lot because I have body washes coming out of my ears at the moment). There’s nothing like dragging your lazy body to the shower in the morning, and being instantly uplifted as soon as you catch a whiff of Refresher – it’s like an espresso shot for your senses! Not only does the revitalising scent put a smile on my dial, but this bright shimmery golden yellow Flubber instantly lifts my mood too! Refresher Shower Jelly contains fresh organic lemon infusion, lemon oil and organic lemon myrtle oil – all of which are naturally cleansing and purifying on the skin. Available at LUSH stores nationwide, or in the LUSH SA online store. Did you know? You can use your LUSH shower jelly as a shampoo, or a bubble bath too! Yay for multi-purpose products! Honourable Mention: Lipidol Cleansing Body Oil | R79,95 | review | If you’re looking for something that is more readily available (at Clicks), then I highly recommend the Lipidol shower oil. It has a similar zesty scent, but it’s more lime-y than lemony, and does a brilliant job of cleansing the skin. It foams up like a regular body wash (when used with a loofah) and leaves my skin feeling soft and supple. I use it for something else too, but I mentioned it in this monthly favourites blog post…so go check it out! Another thing I love about Lipidol, after more than 2 years their price still remains the same! Honourable Mention: Dove Purely Pampering Coconut Milk Body Wash | R38,95 | review | Ya’ll know I love me a good coconut scent, but those artificial tropical scents always make me cringe a little bit. This shower cream from Dove smells like the real deal, plus there’s a faint hint of jasmine petals in there too. Tropical + floral = heaven! I’m always happy to repurchase Dove body washes, because they’re so nourishing I can skip applying moisturiser after my shower! #LazyGirlProblems Available at major retailers nationwide. Eau de Lacoste L.12.12 Magnetic Pour Elle | R760,00 | review | This was a bit of a latecomer last year (I only started using it in October) but I’m featuring it here because it was definitely love at first spritz (I’ve used it every single day since I received it)! The very first Lacoste fragrance I ever owned was ‘Touch Of Pink Eau de Toilette Spray’ – this was years ago (probably close to 12 years ago) and it was one of those fragrances that will always be a favourite. Back then I had just started working full-time (after I graduated from Tukkies) and was as poor as a church mouse. I was never able to buy myself a high-end fragrance, but as luck would have it the lady I was renting my little garden flat from, asked me if I would babysit her 2 beautiful Rough Collie dogs (remember Lassie?) while she travelled overseas for a short holiday. I loved those dogs and was very happy to do it for her! 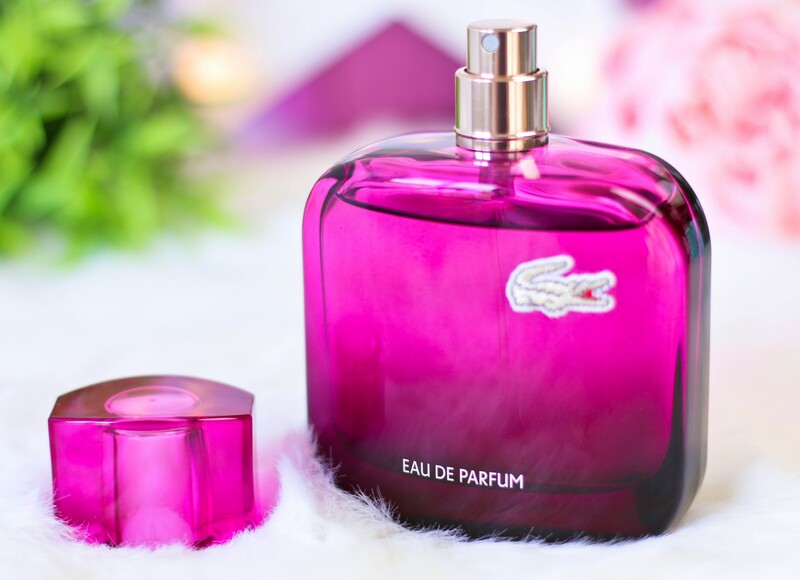 She returned a couple of weeks later and gave me a ‘Lacoste Touch Of Pink EDT’ fragrance as a thank you gift. I was over the moon! Gosh, I treasured that fragrance for as long as possible and only used it for special occasions. I guess in a way, Lacoste fragrances will always have some type of sentimental value to me. Anyway, fast forward a decade (writing that makes me feel so old) and I am still obsessed with Lacoste fragrances. My latest ride or die favourite is ‘Eau de Lacoste L.12.12 Magnetic Pour Elle’ – a blend of fresh tropical fruits with notes of sensual violet leaves absolute and jasmine. Notes of vanilla and patchouli give a long-lasting base to this otherwise fresh and light scent. It’s the ultimate feminine fragrance (playful, yet sophisticated), and has become my signature ‘everyday’ scent. I also love the embroidered Lacoste crocodile logo on the bottle – so cute! Available at department stores nationwide. Honourable Mention: Giorgio Armani Sì Eau de Toilette | R995,00 | review | This was also a firm favourite of mine this past year, and I would recommend this to anyone who is looking for something that is uplifting, authentic, and fresh (with a floral twist) – it’s quite a clean scent, almost like wearing freshly washed clothes with a hint of blackcurrant, freesia and rose. I know this is going to sound strange, but something about this fragrance reminds me of walking into a LUSH store. If you’re in the market for a ‘rich girl’ fragrance, but something that isn’t too overpowering – definitely check this one out! Available at selected Edgars, Red Square, Stuttafords and Woolworths stores. Oh So Heavenly Bubble Balm | R29,95 | review | I can’t stand dry flaky lips, so much so that I own more than 10 lip balms (I have them scattered all around the house, plus 1 in each of my handbags). I fell in love with these cute bubble-shaped balms from Oh So Heavenly last year, and featured the ‘Vanilla Cupcake’ (purple) variant in my ‘September 2015 Favourites’ AND ‘Best Of Beauty 2015 – Skincare’ blog post. I guess I made a mistake by including them in this category, but I wanted to feature the ‘Sweet Mint’ one because the minty green one has been my favourite for the past few months. 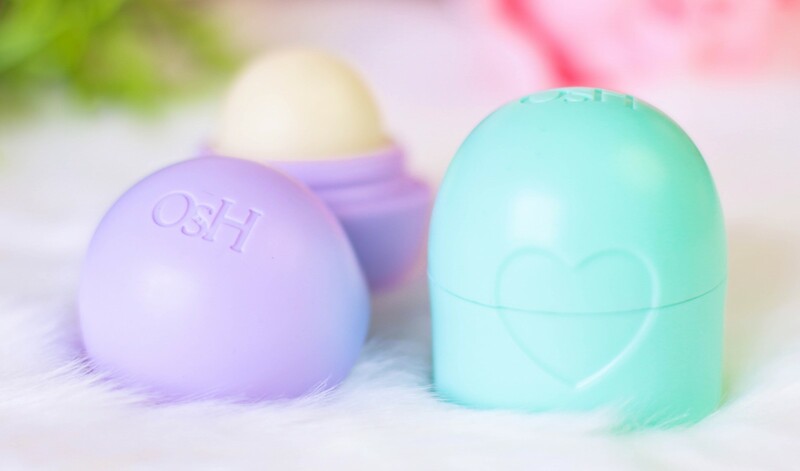 I’m not sure if Oh So Heavenly updated the packaging of all the Bubble Balms, but I like that the mint one has a flat base (it almost reminds me of a Cutie Pie). As mentioned in one of the aforementioned blog posts, these beat eos lip balms by a mile and feel so much more hydrating on the lips (it doesn’t feel like there’s this thick waxy layer on the lips). I love the sweet minty flavour, and was very happy to discover it doesn’t make my lips tingle (like a lot of other minty lip products). The ingredients list includes beeswax and shea butter, both of which will soothe, soften and protect the lips. Available at Clicks stores nationwide, or in the Clicks online store. Honourable Mention: Kiehl’s Lip Balm #1 | R135,00 | review | The lip balm that trumps all high-end lip balms! Well, at least for me it does! For the longest time during 2016, I was unable to find the Kiehl’s Lip Balm #1 in the ‘Mint’ flavour at any of the Kiehl’s kiosks in my area (I guess a whole lot of people love this one as much as I do). I won’t say too much about the lip balm in this blog post because I would just be repeating what I said in the review blog post – but, in short, it does an amazing job of instantly hydrating and plumping the lips. I really like that the formula is thin and lightweight, and yet it is nourishing enough for dry, Winter lips. I use it every single night before I go to bed (all year round) and when I wake up in the morning, my lips feel soft and soothed. I sometimes also use it as a gloss on top of my lipsticks (due to its light, watery texture) – if you’re not a fan of sticky lipglosses, then this might be a great option for you because it adds a reflective shine to the lips. Next on my list (once I finish this tube) is the ‘Mango’ flavoured variant. Selected flavours are available at Kiehl’s kiosks nationwide, the Kiehl’s SA online store, or in the Red Square online store. Did you know? Lip Balm #1 is actually Kiehl’s number 1 best seller! I think the next ‘Best Of Beauty 2016’ blog post will either be the hair care OR the makeup edition. Let me know in the comments section below! Thumbs up for the OsH Bubble Balm ! I have not seen the flat base yet. P.s. I’m going to buy the Kiehl’s lipbalm and the Lush refresher shower jelly, just love your recommendations. Thanks for this, L! I want that Kiehls balm and Lacoste perfume, both sound like they were made for me. I’d like to see make-up next please..
Love these posts! I would love to see a best of hair next – I fell in love with the Dove Pure Care Dry Oil Shampoo and Conditioner that you mentioned in your best of hair last year, and have been using it everyday since! As an added advantage, Unilever Deals through Dischem offer a R20 coupon off of the Shampoo and R20 off of the Conditioner – amazing! Love love love these blog posts!!!!!!!!!! No wait, I love all your blog posts hehe! Yay!! So happy to hear that, Isabelle! I am obsessed with rose scents at the moment so I will go and check that body scrub out! I just used the Sephora rose mask and it smells so good. I tried stuffing the mask back into the packaging hoping the residue serum would keep it wet, but alas, the darn thing dried up. That Refresher shower product sounds right up my street, I just love orange scents.. Definitely going to get my hands on that one.. Any idea when Lush will be releasing their Valentines Day products? Also same with the Kiehls balm and Lush Refresh shower Jelly, best decision I ever made…obsessed with them! Shoo, so many new products for me to go out and buy to try.. The shower oil, hand creams and perfume all sound fabulous!! Rushed out to Clicks and bought 2 of the OSH bubble balms yesterday after reading your review! I am obsessed with showergels..locally i have the locittaine neroli and orchadee range with 3 backups..of shwergel..bodylotion and handcreams..abroad with the bathandbodyworks ..have enough to last a year..hubbs thinks i am crazy.. Hahahahaaaa!!! I’m exactly the same – if I love something, then I make sure I have backups for my backups! I am going to get the essie nail polish, hand creams from Loccitane and refresher shower gel from Lush. I don’t know how this post got past me! I literally laughed out loud when I read that you have a lip balm in each of your hand bags! I do the same! Plus I left like two in my car and one in one of my fav jackets x_x I had even went as far to buying my favourite lip balm of late (The essence balmy kiss) in bulk from dischem’s online store because there was no stock in the stores I had been too x_x The struggle is real! Shew, the essence Balmy Kiss balms are soooo good! I only started using the one I have a few weeks ago, but so far I’m hooked!